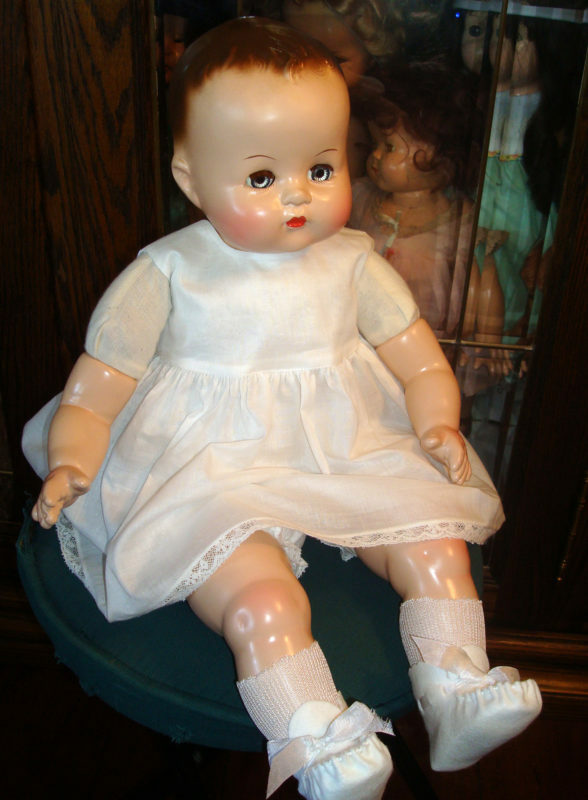 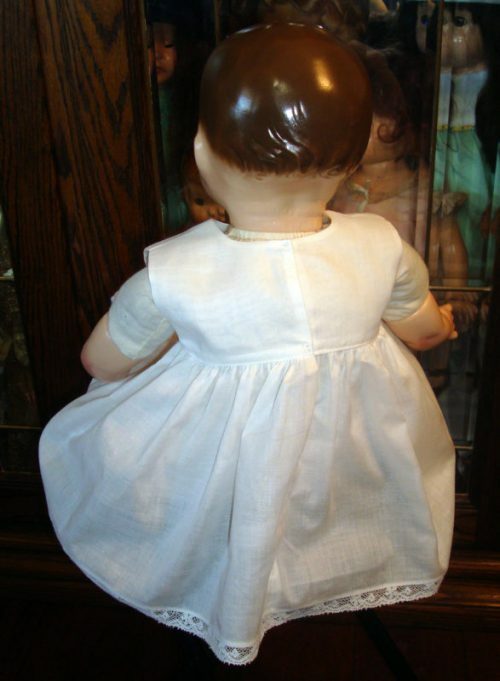 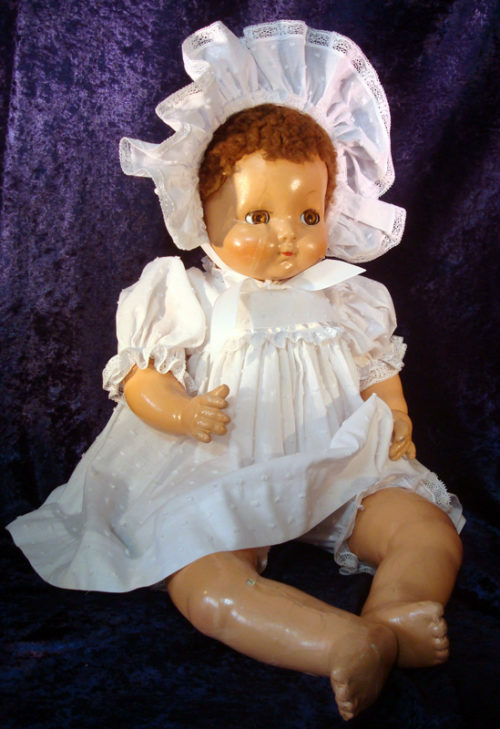 This Baby Doll Slip is for the chubby vintage baby dolls with a soft cloth body. 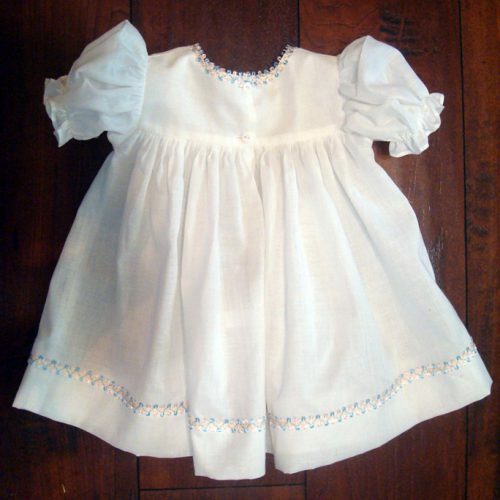 It is made of a soft, winter white cotton batiste and has been trimmed with cotton lace. It closes in the back with square snaps. 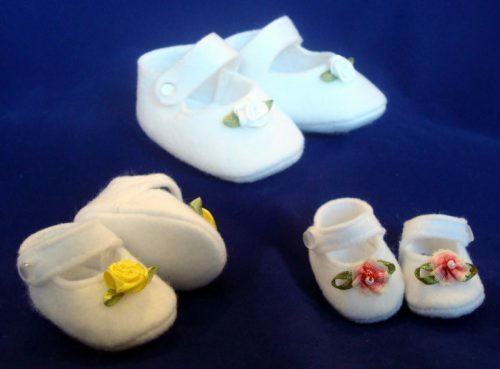 To find your doll’s size, measure from the top of the head down to the bottom of the feet. 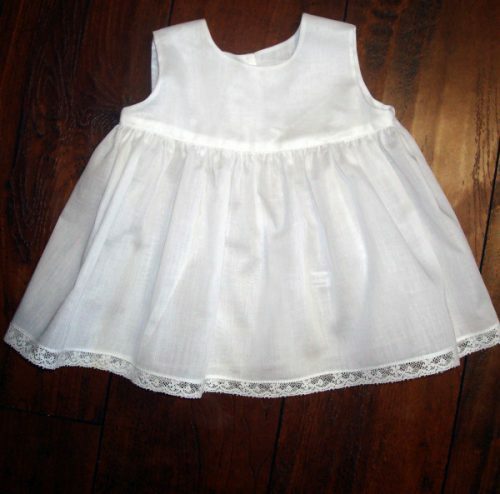 Baby dresses always look nicer with a slip and bloomers to fill them out. 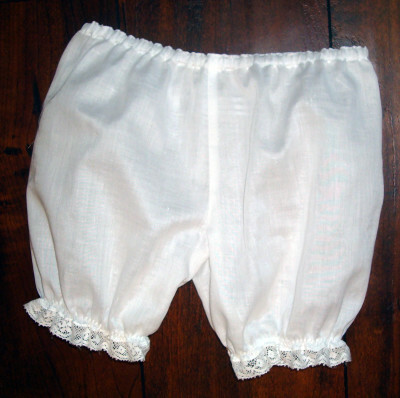 Bloomers are available separately.